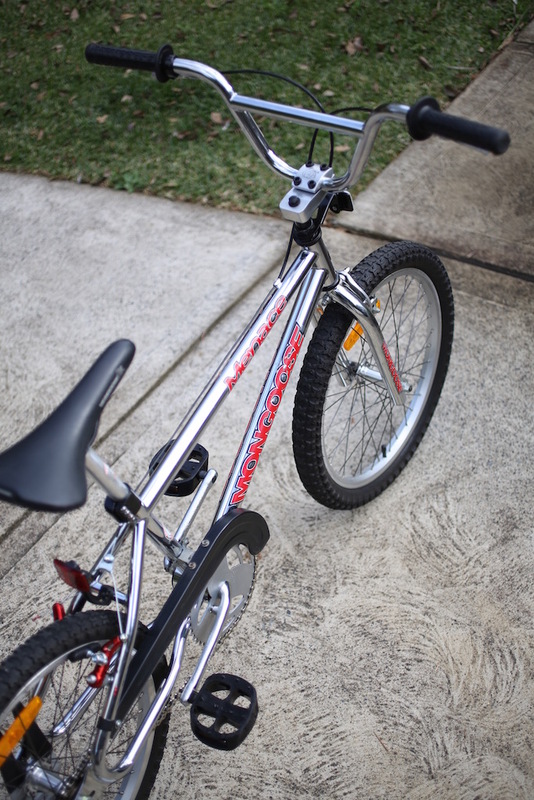 In 1998 Mongoose changed their frame design and moved away from the classic loop tail style. 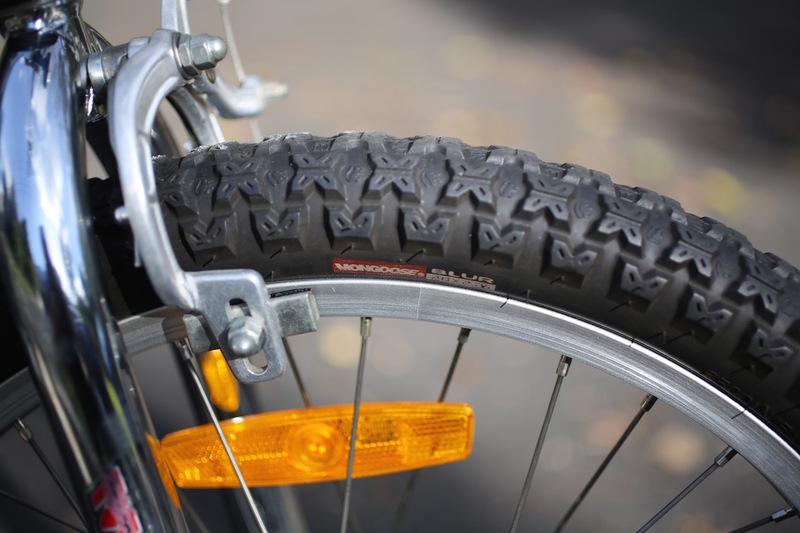 Mongoose used the looptail frame design for around 15 years (since the early 80's). 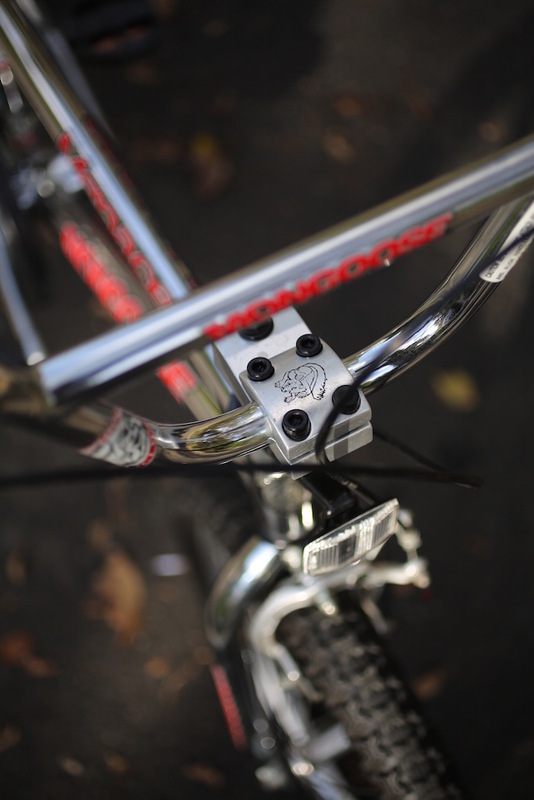 This 1996 Mongoose Menace is the second last year these looptail BMX frames were made. Anyway back to this bike. 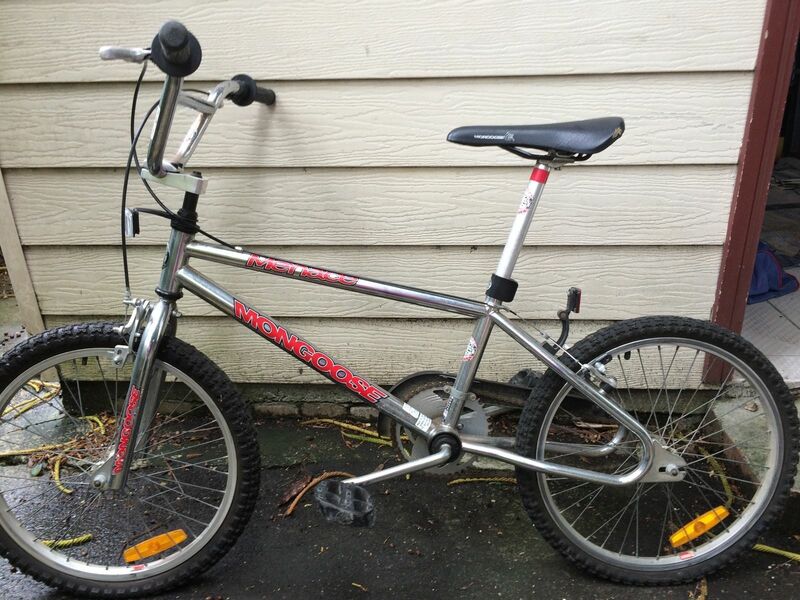 After 20 years since it left the bike shop, it's very rare to find a Mongoose BMX in such original condition. 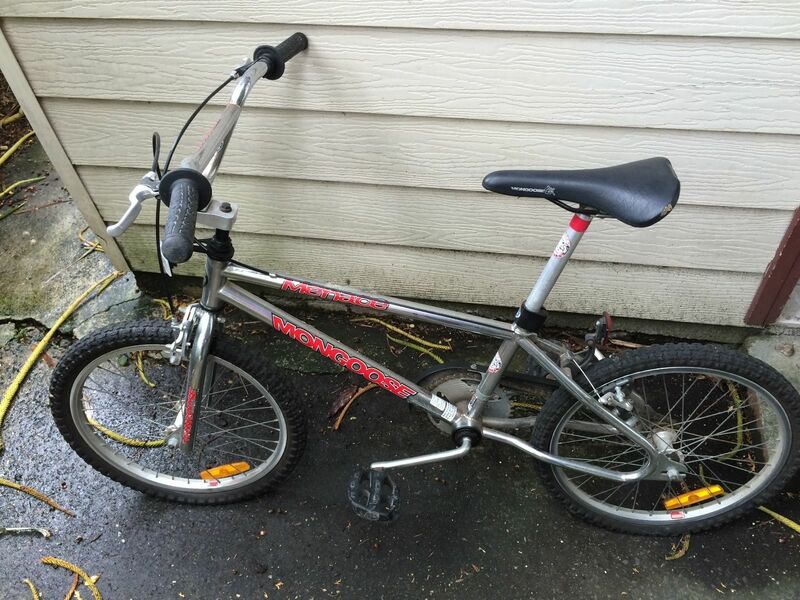 I have restored many Mongoose BMX bikes over the last few years and in my experience, any bike after years of riding and being trashed, parts are normally replaced or swapped out. This bike appeared to have been hardly ridden and stored in a garage for most of it's life. 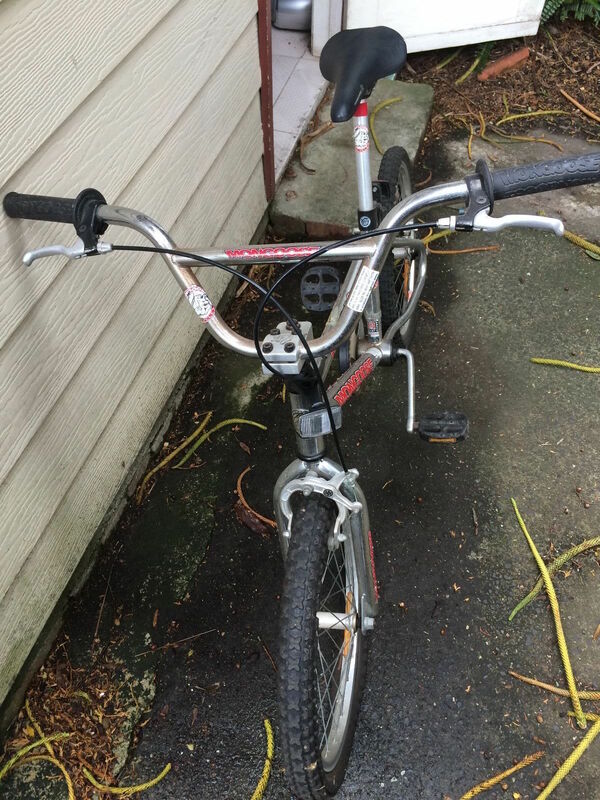 Sure it was dirty, the spokes were a little rusty and the seat was torn. But essentially all the bike needed was a good clean and polish and few minor repairs. The old Mongoose BMX was stripped down completely. I gave the chrome parts a quick Citric Bath and scrubbed everything else. The wheels were also stripped down spokes cleaned and the wheels rebuilt. A few parts needed to be replaced - a new chain, rear brake cable and cantilever brakes. I painted a new set of silver rear brakes in candy red so they would pop and match the rest of the bike. 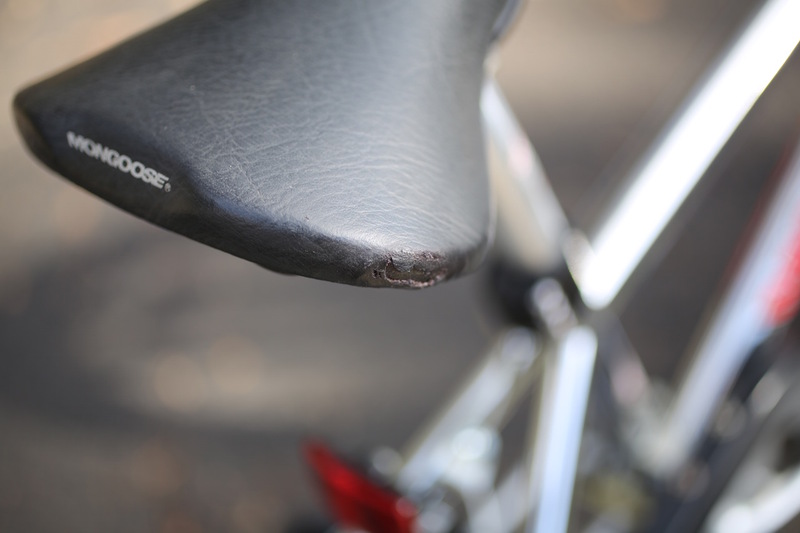 The two holes in either side of the original Mongoose race seat were patched with black vinyl. I and new to fixing seats and this is the second one I have done. I'm looking forward to perfecting it. But at least there is no foam hanging out anymore. The rest of the bike was rebuilt and re-greased. 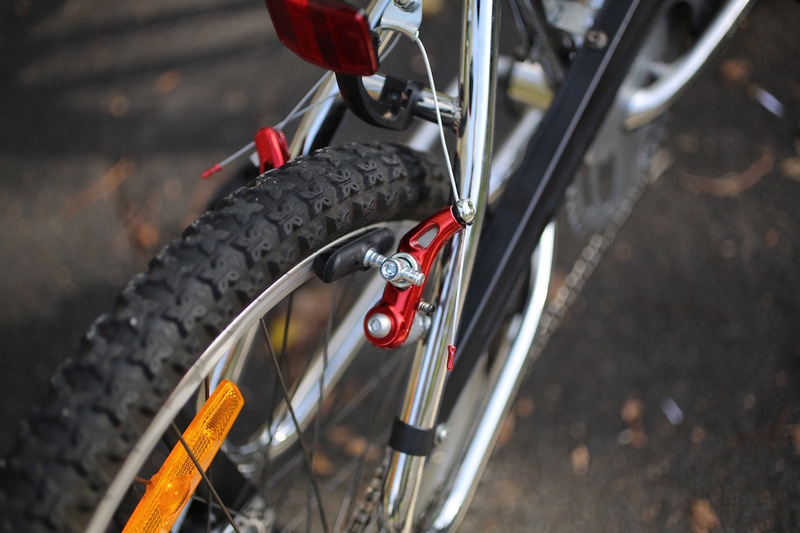 The chrome absolutely shines, there is virtually no scratches or scuffs anywhere and the bike presents as near new. I decided to re-install all the original reflectors and chain guard. After all this is how it would have looked new. The bike looks amazing and is ready to be released back onto the streets for another few years of enjoyment. The next owner will have the joy of feeling like it's Christmas 1996 all over again. Thanks for reading. If you liked this post, sign up to the blog via email at the bottom of the page and get every post direct to your inbox. 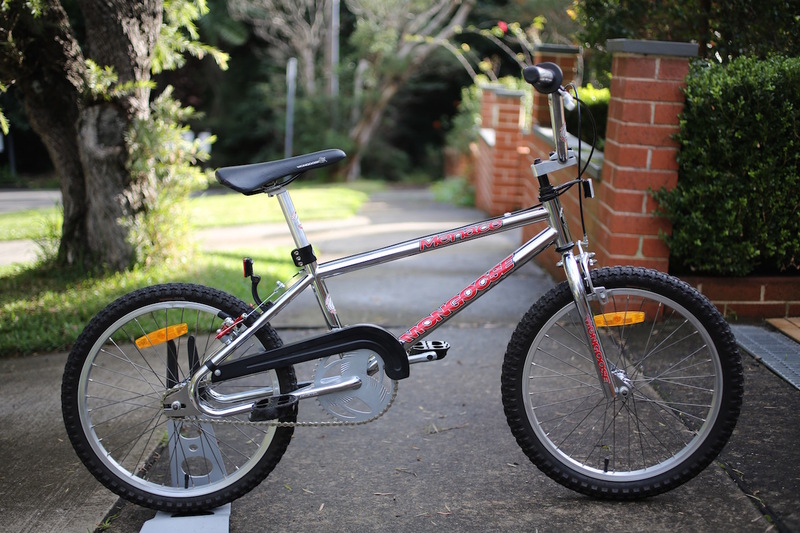 For more information on this BMX and more, you can LIKE my Facebook page, to receive regular updates in your feed, visit the re-rides website or see the rebuilt and restored rides and parts for sale on our eBay store. For more images of all our re-rides in progress follow us on Instagram. That sticker decal set available in yellow? Very nice bike. I have a 95 or 96 in yellow with black/white/silver decals. It is also mostly original however the paint is trashed and I need a new decal set but i don’t think they are available here.